Party favors are a way of thanking guests for attending a party. There are several ways to say thank you and make a first birthday memorable. Goody bags can reflect a variety of colors and themes. Personalized party favors can add a special touch to the occasion. Small toys, tokens, candy and activity books are good choices to fit any budget. Goody bags can be purchased in virtually any color or theme. The bags come in small, medium and large sizes. Goody bags can be given to children and often have candy, stickers and small toys in them. Adult goody bags can also be assembled using gourmet coffee, tea and chocolates. 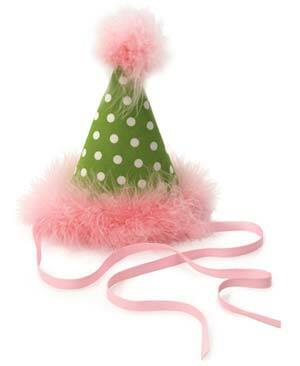 Personalized party favors can add creativity to a first birthday celebration. A photo of the baby in a small frame is an inexpensive favor. Personalized labels showing the baby's name and date of the party can be made and wrapped around chocolate bars. More personalized favors include, magnets, stationary, pencils and CDs. Small toys that reflect the baby's favorite toys can be handed out as party favors. They can also compliment any style and theme. Small trucks, teddy bears, princess tiaras, bubbles and clay are inexpensive toys that can be given as party favors at a first birthday celebration. Activity books are an inexpensive choice for first birthday party favors. They can be purchased at local dollar stores and are made for any age group. Similar party favors are coloring books, crossword puzzles, stickers and crayons. Personalized coloring pages can be printed from a home computer. Candy is fun for children and adults and can reflect any color or theme. Safety pops can be given to younger children, while bubble gum can be given to older children. Candy necklaces and ring pops are good choices for a princess party. Pirate party favors can include chocolate coins and jelly beans.